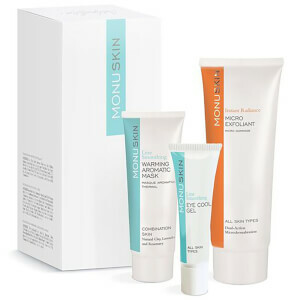 Treat your skin to the MONU Ladies Normal Combination Collection. Perfect for normal to combination skin, the skincare trio will help to nourish, energise and improve the appearance of your complexion. Suitable for normal or combination skin types. A lavish cream containing Marine Collagen and Polysaccharides which work together to help smoothen the look of fine lines, restore firmness and prevent premature ageing. Also designed to improve the natural elasticity in the skin, this cream will soothe, hydrate and nourish to promote a clarified complexion. An award-winning moisturiser that works to invigorate and energise the complexion for a visibly brighter skin appearance. Enriched with the soothing scents of Cucumber, Elderflower and Mallow extracts, plus Glycerine, Coconut Oil and Arnica to help hydrate tired skin while calming the complexion. An anti-ageing serum that works to energise the look of sensitive skin around the delicate eye and lip areas. Formulated with a unique blend of naturally active ingredients, including Arnica, the serum effectively improves the appearance of fine lines and wrinkles while brightening the eye area and invigorating the complexion. It helps to stimulate skin's natural collagen to firm and plump, reducing the look of puffiness and dark circles. Free from parabens, fragrance and wheat. Night Renewal Complex: After cleansing and toning. Massage into face and neck every night using gentle upward movements. Moisturiser: Apply in the morning and evening. After cleansing and toning apply a small amount to the face and neck using a gentle upward movement. Lip & Eye Serum: Use morning and evening after cleansing and toning. Gently pat a small amount onto the eye and lip contour area, avoiding eyelids, until gently absorbed. 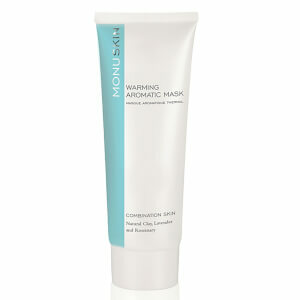 For an intensive mask treatment apply a thicker layer and leave for 10 minutes then remove any remaining residue. 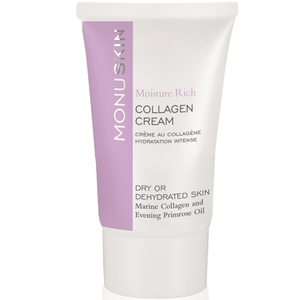 Having used Monu products before, I really rate them and find that they do what they claim to do. I had previously bought the night renewal cream after receiving some in the beauty box and loving it & when I needed a new one, this set came up. Brilliant value for money given how much these items cost to buy separately. I haven’t tried this particular eye cream yet although I am currently using the Monu eye cool gel which is really good so I’m hoping for good things from this. The face creams are both incredible, the night cream is the only one I use now after trying many over the years. My complexion has never looked or felt better than it does at the moment (I’m 38 with normal/combination skin) I hope they continue these sets because I’ll buy them again & again.